These grass were planted beside our house. They've been here when we bought the house. It spread so fast, easy to maintain and the flowers last a long time. Even on winter they don't die. 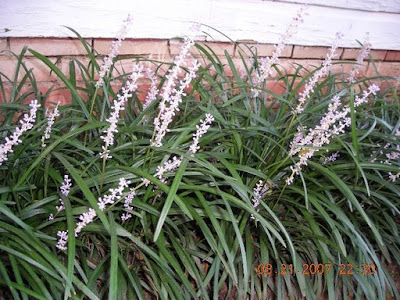 These grass is good for landscaping and also for borders in your flower garden. These grass has weird name though, it's called MONKEY GRASS.